Leonard Atkin was born in 1885 in Barlborough, Derbyshire. His parents were Luke Atkin (1829 – 1901) and Johannah Bracken (1844 – 1928 ). Leonard was the sixth and last child. On the 1891 Census, Leonard is six years old and living on Park Street in the village of Barlborough, with his parents and three older brothers. In 1901 the Census showed that Leonard at the age of sixteen is already working underground as a pony driver. He was living with the rest of his family at Staley House in Barlborough. On 14 October 1907 at the age of 22, he married May Clarke( 1886 – 1942) in Barlborough. On the 1911 Census they were living on the High Street in Barlborough, with two children (Lionel Horatio and Florence Esme) and a servant, Ella Clarke, who was a younger sister of May. Leonard was 26 and working as a hewer. Leonard and May had six children – Lionel Horatio, Florence Esme, Agnes, Blanche Edna, Cyril John, George W. Lionel was 53 years old at the time of the disaster and was living on the High Street in Barlborough. He was employed at Markham Colliery as a contractor. The funeral of Lionel took place in Barlborough on 14 May 1938. Leonard was buried in one large grave with nine other miners. The service for Leonard was conducted by Fr. Gregson, since Leonard was the only Roman Catholic. Leonard had obviously been a regular reader of the ‘Daily Independent’ newspaper. By being a registered reader, this provided a certain level insurance cover, which the newspaper paid out to his widow and family. In total, nine of the 79 miners killed were insured by being a registered reader of the newspaper. 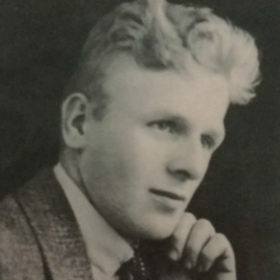 “Treasured memories of a dear husband and father, Leonard/ Atkin, who lost his life in the Markham Disaster May 10th 1938./ “A loving father, true and kind,/ He was to us in heart and mind,/ A careful father, too, as well/ When he on earth with us did dwell,/ A sudden change in a moment fell,/ I had not time to bid my friends farewell”. – From loving Wife, Children and Baden.